The exterior was restored to the original appearance in 2006, with the exception of the roof tiles. They were originally red clay, and a substitution was made due to the weight of clay tiles. It is currently used as a museum. The Cisco and Northeastern Railway constructed the line from Breckenridge to Throckmorton in 1928. The line was used primarily to haul cattle to Fort Worth from the nearby cattle ranches in the area. The line was discontinued in 1942. 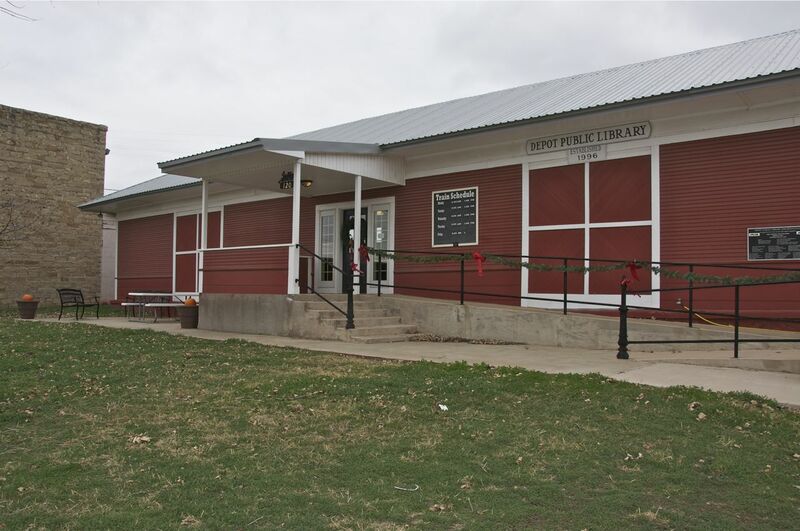 In 1990, a group of citizens formed to acquire a public library in Throckmorton; the town was one of 12 counties in Texas without a public library. 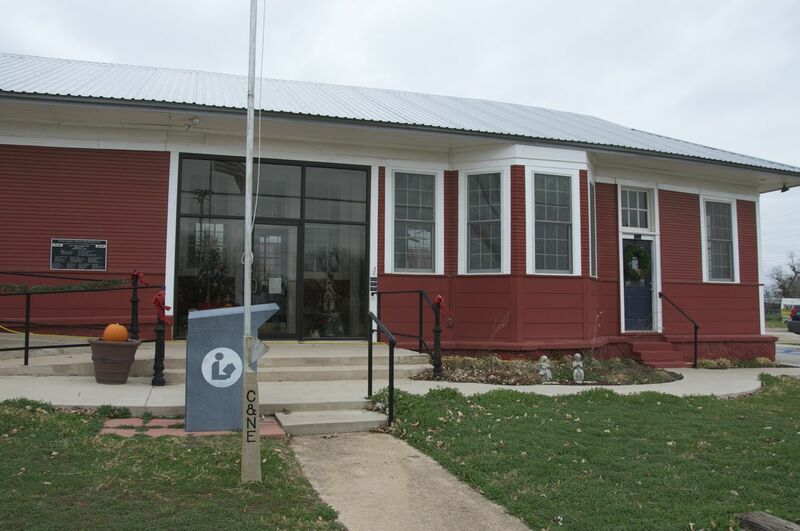 A visiting architect from Michigan (name not provided in the minutes of the meeting) suggested the depot as a site, as it was currently used only for storage. The facility was renovated and the library opened in 1996. 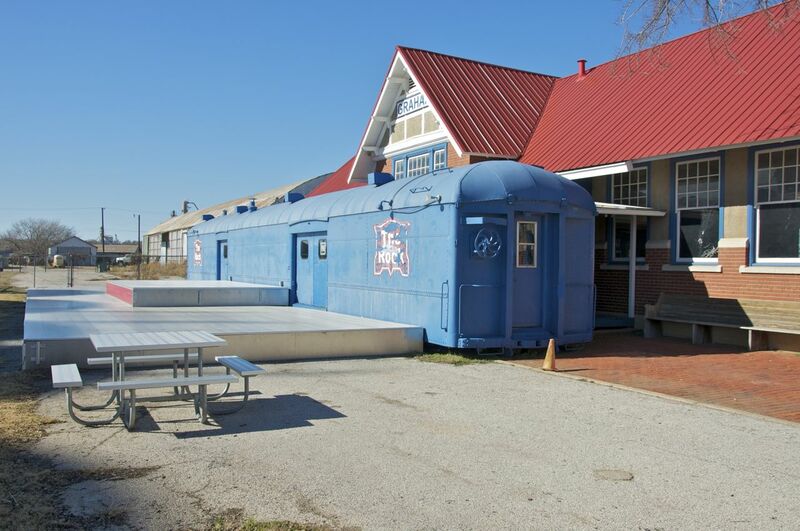 In 2008, the facility underwent another renovation during the Main Street revival project. Note the emblem for the Cisco and Northeastern (C & NE) on the base of the flagpole. 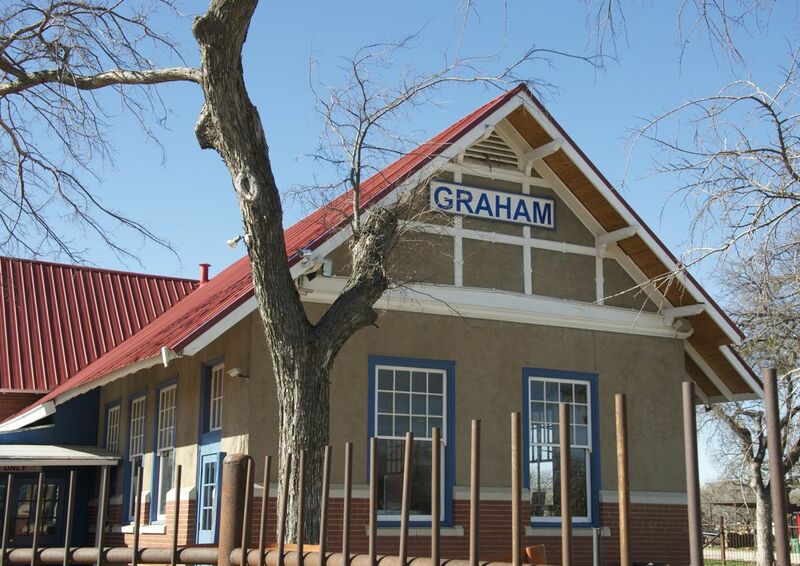 Nearby Graham was served by the Rock Island and Southern. The Chicago, Rock Island, and Pacific (known as the Rock Island) originated in Illinois and extended down to Fort Worth. The line was extended to Graham in 1903. There were numerous mergers of a variety of railroad companies, and the acquisition of different lines by different companies during the following years. In 1955, the Rock Island acquired the lines of the Wichita Falls and Southern Railroad between Graham and South Hanlon. They abandoned this line in 1969 and the last freight train rolled out of Graham a few years later. If there is one thing I have learned about historic preservation since the move to Mississippi, it is the importance of not only restoring or renovating a structure, but having a plan in place for its use and continued upkeep. Without that, it becomes just another building to fall victim to the whims of humans and the environment and rot away yet again. 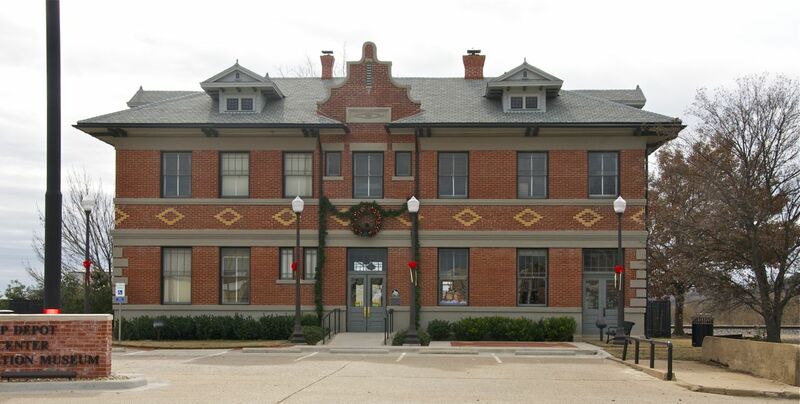 This entry was posted in Callahan County, railroad lines, Texas, Throckmorton, train station depot buildings, Young County and tagged decorative brick, mission revival, renaissance revival. Bookmark the permalink. 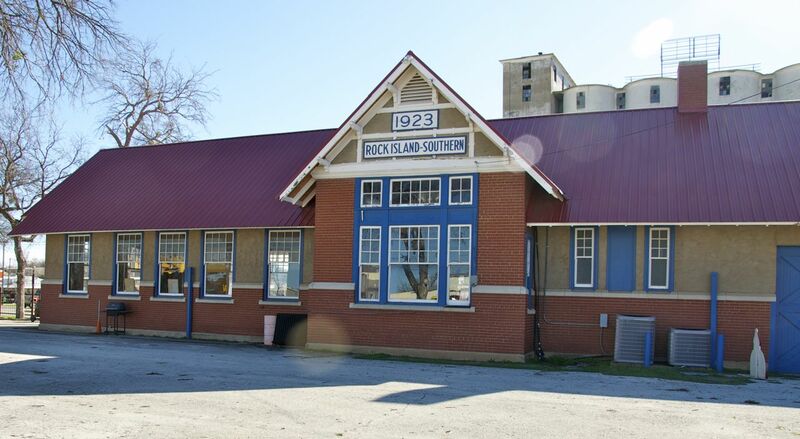 The reason the sign reads Rock Island – Southern on the Graham depot is because this was a Union Station, constructed for use by both the Chicago, Rock Island & Gulf (the name that RI lines in Texas operated under) and the Wichita Falls & Southern. 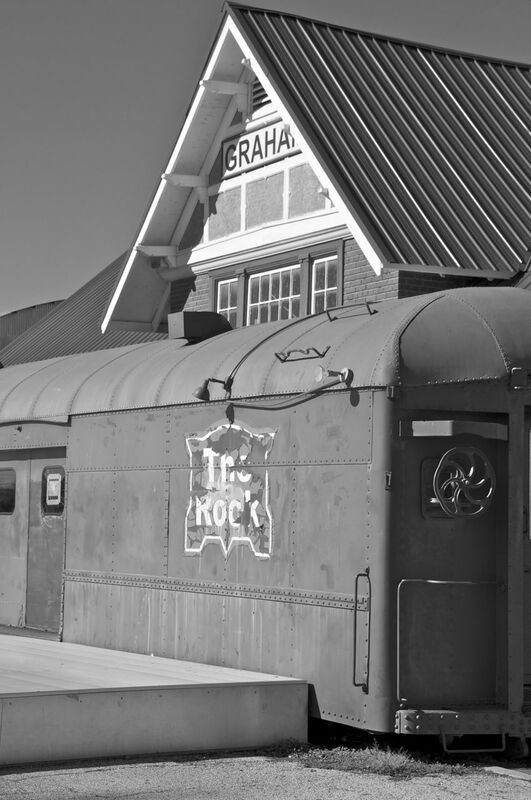 The depot was constructed a short time after the WF&S arrived in town and the new brick depot replaced a older wooden one that the Rock Island had built across the street when the RI first got to Graham. The RI did acquire part of the WF&S in 1954 but the name on the north end of the station continues to mislead many into thinking the railroad was actually called the Rock Island Southern. There was a railroad by this name, but it was way up in Illinois and extended from Rock Island southward. Rock Island Southern is a line in Illinois that is correct. Started in Rock Island and traveld to Searstown ( now Rock Island) Milan turned west there and headed to Blackhawk, Taylor Ridge,Reynolds, Cable Sherrard, Viola and down to Monmouth Illinois with a branch to Gaelsburg Illinois.The RIS was an interurban or “juice” line. Ran electric trolleys for a long time.There is 3 to 4miles of the track left in Milan. Another company that shared these rails was the Rock Island and Mercer County. Great pictures adn history btw. Thank you for sharing.